The timepiece is crafted by none other than Bernard Richards Manufacturer, a watchmaking genius already known in motor racing circles for their inspiration from automobiles. 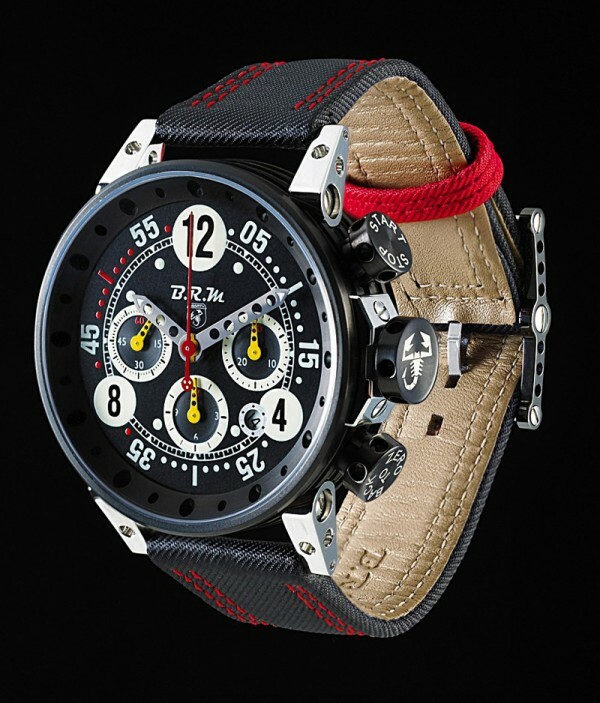 To top the racing-themed design of the stock V12-T-44 chronograph, BRM has further differentiated the Abarth special edition. Only 49 examples will be made available exclusively from BRM’s website, making this timepiece considerably more exclusive than the cars its made to accompany. Lets go out and get one, its only $7,300 but we can talk them down if we buy more than one.